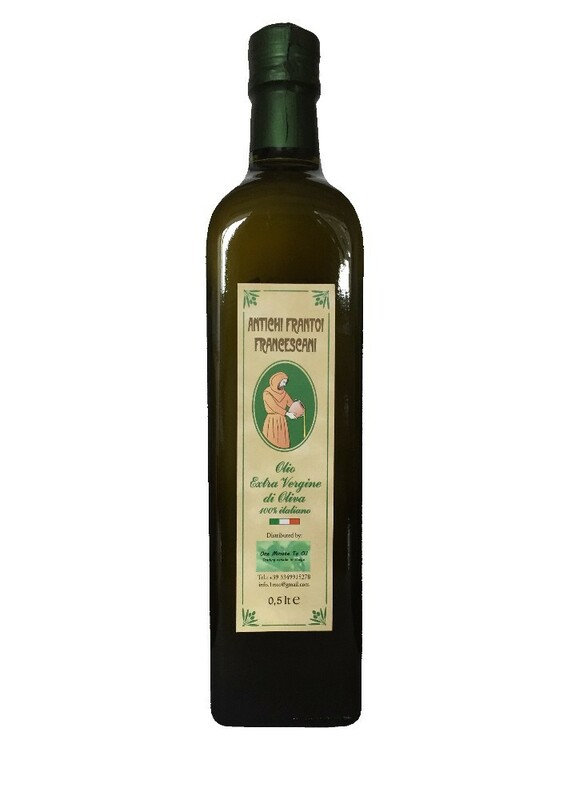 Antichi Frantoi Francescani Extra Virgin Olive Oil is a high quality oil obtained only from mechanical means from olives gown in Umbria Italy. The hand haverst allows to create a healthy products with low acidity and high in polyphenols. Sold in glass bottles of 500 ml is recommended for everyday use and it can be use raw on salads or for cooking traditional Italian pasta sauces. It would make a great addition to the shelves of high end deli and it would impress clients at your upper scale restaurant. Currently the producer is looking for wholesale buyer around the world with a special interest in the UK, USA, Australia, and Japan. Be the first to review “Antichi Frantoi Francescani Extra Virgin Olive Oil” Click here to cancel reply.